The shortage of school nurses in California was highlighted thanks to Host/Producer Barbara Ficarra during the September 14th broadcast of Health in 30™. Barbara interviewed Dale Parent, President of the CA School Nurses Association, Donna Mazyck, President of the National Association of School Nurses, Amy Garcia, Executive Director of the National Association of School Nurses, and Nancy Spradling, Executive Director California School Nurses Organization. 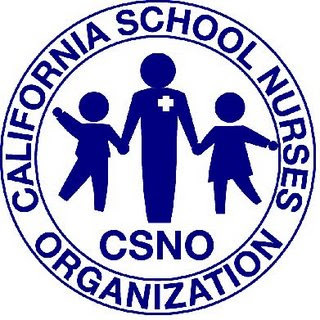 Dale Parent eloquently described the role of the school nurse in the California school system. Dale also emphasized that parents often are unaware that a school nurse is not the person who is taking care of their child. While Healthy People 2010 recommends 1 school nurse for every 750 well children, in California and nationwide those numbers change dramatically and 1 nurse may be assigned to care for several thousand children, including some with serious health conditions. Without the appropriate numbers of credentialed school nurses, our children's lives are put in jeopardy. Amy Garcia stated that NASN receives notices from grateful members of the public every month, telling how school nurses are involved in protecting children's lives. It is imperative that the public work with school nurses to assure that credentialed school nurses are readily available to protect the health and safety of our children. 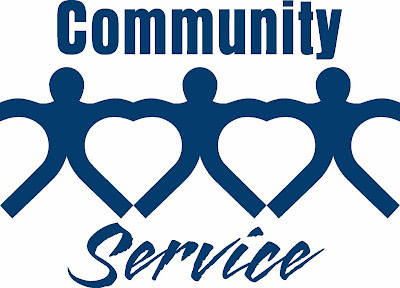 Recently, an email was sent out to a group of nurse educators who teach in undergraduate and graduate level nursing programs to survey them regarding the existence of community service requirements in their curriculum. We have heard from several and want to share some of their responses with you, because they provide evidence that students do participate in activities that promote prevention in their own communities. A nurse educator from Anna Maria College located in Massachusetts wrote, "The ideal outcome of service learning is to promote civic engagement. The process begins with volunteerism, or community service, from service learning to civic engagement. One example is the student who went to a sober house to provide health teaching. As a result of the relationship with the clients, it was found that there is free and confidential HIV testing, but that this was not the case for Hepatitis, which was more prevalent in the community at the time. As a result, the student nurse petitioned the local state representative to seek a needed change in legislation." From an educator in Las Vegas at College of Southern Nevada, "Our students are required to assist in two Safe Kids Events-children injured in care accidents are keeping our PICUs full in this community. In the police stops that we have on holidays for drinking, it was found that the people are not drinking but instead the police are finding amazing numbers of unsecured children in the cars they stop. So our students help install car safety seats after they attend a class." A nurse faculty from Carroll Community College in Westminster, Maryland states, "Community service, or Service Learning as it is called at our college, is integrated throughout the nursing program. In Fundamentals students provide blood pressure screening throughout the community with a faculty present at each site. In the first semester of the second year (we are an ADN program)the students take two courses, Maternal-Child Health and Med/Surg II. The students choose to do service learning in either a maternal-child or medical-surgical area. They work in groups of four and each group member will have the entire semester to complete 15 hours of community service in their selected areas. The groups complete a culminating project and present it to the entire second year class and faculty at the end of the semester. They are encouraged to present it to the staff/clients at their site of service learning, but it is not required. For instance, we have one group who is planning to provide a health fair for Brownie Girl Scouts on a Saturday morning at a local park. They will plan activities in conjunction with an older scout troop (Junior or Cadette Girl Scouts), teach the older girls how to teach younger children, and guide the older scouts as they run the health fair stations. During this process they will work with girls from 1st to 9th grades and learn about growth and development first hand, assist the older girls in learning leadership skills, and provide learning to younger girls in a fun and interactive way. In the process, the younger girls earn a Brownie badge and the Safety Award and the older girls will earn service hours required for graduation from high school in Maryland. In the past we have had students develop teaching programs on bullying (this was a tear-jerker! ), bicycle safety, handwashing in day care centers, internet safety, etc. The students, while initially grumbling about the additional hours, have ended up enjoying their experiences and have put together some really nice education programs." Now, imagine if we could pilot these activities in communities of two states under the guidance/leadership of an Office of the National Nurse, what a great, collaborative impact nurses would make in promoting prevention and improving health outcomes for our nation. Thank you to Richard Stengler of TIME magazine for his poignant and thought provoking article, A Time To Serve. Stengler's cover story highlights the need for civic engagement on every level, from education to the environment. He discusses the Peace Corps and Americorps and provides a plan for the young and the old to become involved. However, there was not a mention of nurses, nursing, or the Office of the National Nurse proposal included in Stengler's 10 point plan. Here is a letter to the editor that was sent to TIME in hopes of remedying this. One solution to promote health care, not sick care, is to establish an Office of the National Nurse. Invite nurses, nursing students, retirees, and other health care providers to participate in a single prevention based program tailored to their community's own needs and we may begin to see a decrease in the devastating epidemics of preventable conditions currently sweeping the nation. We cannot assume with 47 million uninsured that every American is health literate. Who better positioned than nurses to lead the way and help our citizens understand how important it is to lead a healthy life style? There is a grassroots effort underway for an Office of the National Nurse. Visit www.nationalnurse.org for more information. John F. Kennedy's infamous words, "Ask not what your country can do for you, ask what you can do for your country" have never rung louder. Thanks to National Nurse supporters Paula Latymer from Detroit, Michigan and Kindra Scanlon from Portland, Oregon we now have new logo designs available on the National Nurse Cafe Press website . If you are a nursing student or new grad looking for a tote bag to carry your stethoscope and books, there are several designs available. If you have an idea or suggestion for a National Nurse logo that can be used on a button or teeshirt, please email Teri . The new shirts and other items are great. But why not make a top that nurse's can wear to work with the new emblem on it? This would be a great way to advertise!! !